These gates slide accross the ground on little wheels to open, the good news is that they are very reliable with non of the moving parts having a lot of stress, the bad news is that you need a fair amount of space on the wall adjacent to the gate so that the gate can slide accross. 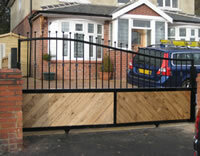 More like your traditional gates these are he most popular that we install. 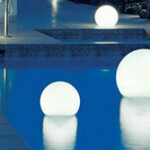 Easily adaptable they really make that great addition to compliment your new drive and garden wall. Rising Kerbs are these barriers that rise up from the road to restrict entry or exit, more commonly seen in cities centers or private roads rather then a domestic drive. Rising Bollards offer traffic control that disappears flush with ground level. 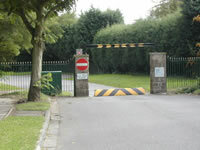 Aesthetically pleasing and impassable to traffic, Rising Bollards provide aÂ neat solution to preventing the passage of vehicles without the requirementÂ for gates and have a minimal impact on the environment. Bollards can be used individually enabling use of a single parking space or up to four units can run from a single control unit. 7am to 8pm, 365 days a year.